Often, when I read or think about the old skinnerian concepts of conditioning, I seem to hear Descartes, a philosopher that several centuries before Skinner, emphasized nonhuman animals simply as machines. Skinner, but before him also Watson and other behaviourists went even beyond Descartes and gave the human animals the same machines-label: With the possibility to be conditioned in every behaviourial aspect of their life, so to arrive to the unhealthy concept of the “perfect society”. Regarding horses (and all other animals), my personal opinion is that it is absurd that nowadays there are still many scientists, veterinaries, animal trainers and animal owners that take in good consideration the skinnerian idea about animal minds, applying the behavioristic learning theory which is focused on operant conditioning. By doing so, following the skinnerian idea of animal minds, they actually not consider the mind-activity at all, nor the animal’s perception or ‘less’ observable emotions. Most people are probably not aware of these consequences, as most animals do not tend to yell “you’re not listening to me”. Also many training and education institutions still take these concepts as important principles in order to learn how to build the “perfect horse” which brings me back to the same unhealthy feeling of the perfect society. Instead of trying to build a horses that precisely meets our anthropocentric desires in a skinnerian way, in order to respond on the requests of the various equestrian disciplines, we should try to really understand the animal (mind, emotions and needs) and improve horse welfare starting from understanding the animal and his cognitive way of learning and living. Behaviourism through operant conditioning is widely used to manipulate animal minds (also human minds), during learning and relationship processes. For the horse this often means a stimulated fear for the human, so to better control him, training him ”positive” or “natural” or with soft ”leadership”, but always in a conditioning way where the horse is seen as a stimulus-response machine. Fortunately there is a world-wide search for better understanding the horse (from the horse’s point of view) and attempts to interact from an ethical perspective. 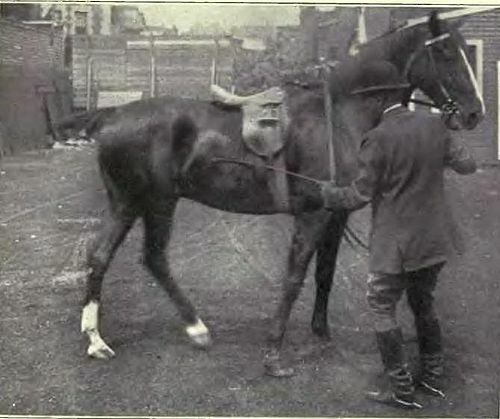 A difficult one, as the standards for “good horsemanship” are almost worldwide alike and based on controlling capacities, causing that those who have a different understanding and a higher sensibility for the horse-human relationship do find a lot of walls around them. But a slow but steady change is occurring. – In equine zooanthropology the human animal takes a decentralized position in the relationship with the horse and considers the nonhuman animal as sentient living being, with his own individuality, subjectivity and otherness. 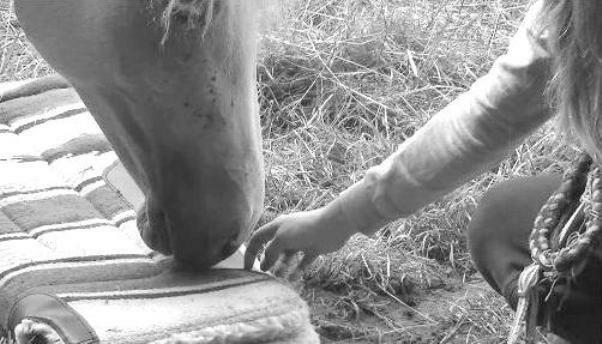 In this field of activity, during the development of a horse-human relationship, co-training, co-evolution and co-experience are important terms and activities. Human and nonhuman animal, at the same time, each from their different point of view, live the same experience, share intentions and learn together. Yes, I think that if a horse could open up the black-box of Skinner and would whisper something in it, there would be an echo coming back. Francesco De Giorgio is an italian ethologist and applied behaviour researcher, currently living in the Netherlands and working both in Italy as in the Netherlands. He is Guest Lecturer regarding Equine Cognition in several universities and his special field of research is applied social learning in horses. He is a scientist but also a practical man, having a band of eight horses together with his partner in life and work José Maria Schoorl. Shepard P., The Others: How Animals Made Us Human. Washington, D. C.: Island Press/Shearwater Books, 1996.